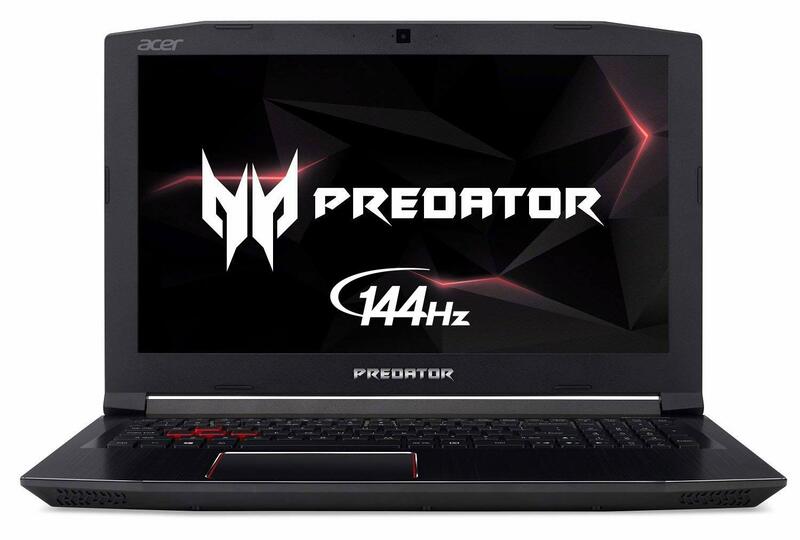 For less than $1000 you can get a great gaming laptop capable of playing pretty much anything. Take a look at our top 5 gaming laptops under $1000, and I’m sure you’ll find what you’re looking for. That’s to say, finding the best gaming laptop doesn’t have to be difficult. 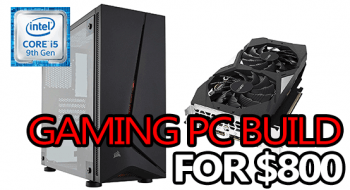 If you’re the kind of person who is constantly on the go, but you also need your fix of AAA PC gaming, a good gaming laptop might be exactly what you need. When I say a “good” gaming laptop, I don’t mean something littered with flashing LED lights and the body of a stealth bomber; but one that has good specs and will perform well in games first and foremost. I think you’ll see what I mean below. There are countless benefits to having a laptop capable of both work & play, mobility is the biggest benefit by far. That said, if you’re buying a laptop primarily for use at home, why not consider getting your own gaming desktop instead? 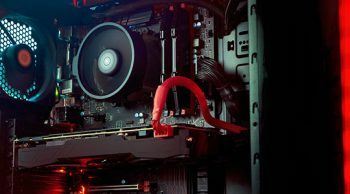 You’ll get much more power for around the same price, which means you’ll be cranking graphics settings a lot higher than on most of the laptops below. If you have any questions about anything on the list, or you want to know if the laptop you’ve picked is good, feel free to ask me in the comment section! This particular laptop from HP, the Pavillion 15-cx0056wm, has one of the best prices (for the hardware) you'll see. It's coming with an i5 8300H, a 4GB GTX 1050 Ti, 8GB of DDR4 RAM, and a 1TB HDD. 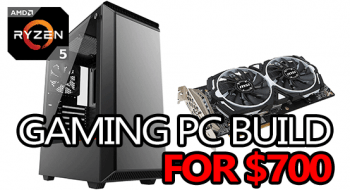 You couldn't even build that as a desktop (including the price of Windows) for the same cost. Of course, you'd have to pick a desktop-alternative to the it 8300H, but either way I think you get what I'm saying - this is a great deal. The 15-cx0056wm is packing enough power to handle pretty much any game in 1080p at 60fps on mid-high settings. Sometimes more, sometimes less, it just depends on the game. 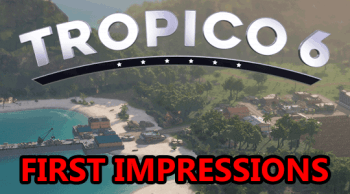 In something like Fortnite, you'd see up to 100fps on average. Long story short, if you're looking to spend as little as possible while getting as much power as you can, the HP Pavillion 15-cx0056wm is definitely one of your best options to consider. 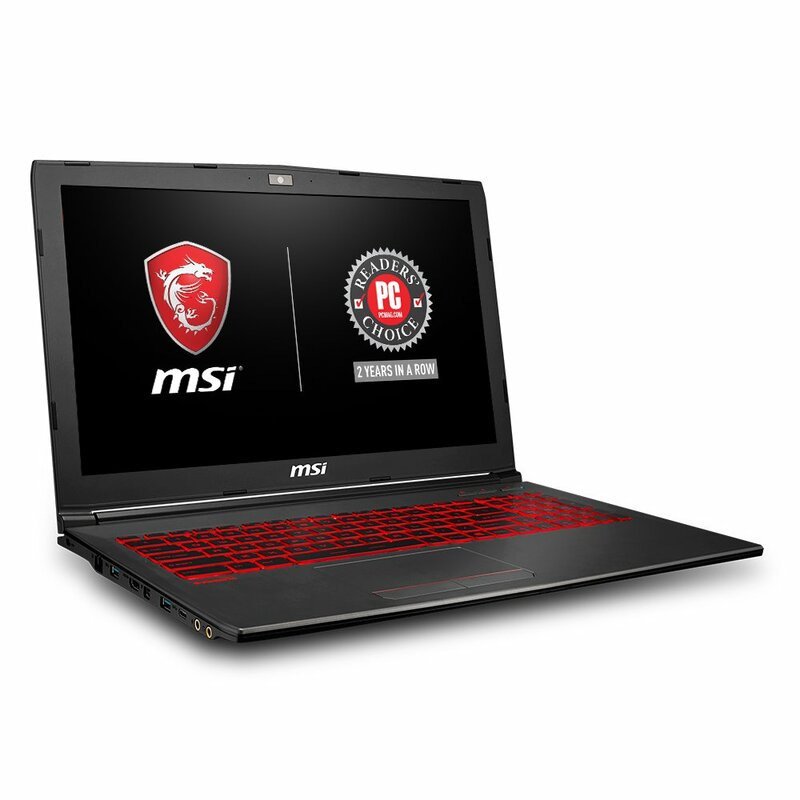 The 15.6" GV62 8RD-200 from MSI is a great option if you're just looking to jump into some 1080p gaming on the go. Its i5 8300 + GTX 1050 Ti 4GB + 8GB of DDR4 RAM are more than enough to handle pretty well any game on mid-high settings at 60fps in 1080p. 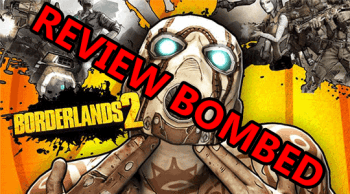 Its performance should be quite comparable to consoles like the Xbox One X and PS4 Pro. There's another variant of basically the same laptop available, the 8RD-275. The only notable difference is the 275 comes with a 256GB SSD in place of the 200's 1TB HDD + 16GB Intel Optane. That's noteworthy for 1 reason, an SSD is going to be faster than an HDD paired with Intel Optane... But, you're also sacrificing over 700GB of space. So, there's a bit of a trade off. However, it's something to consider as their pricing is the same. Either way, MSI did a great job with the GV62 8RD. It's price is awesome for its features and you won't be disappointed. 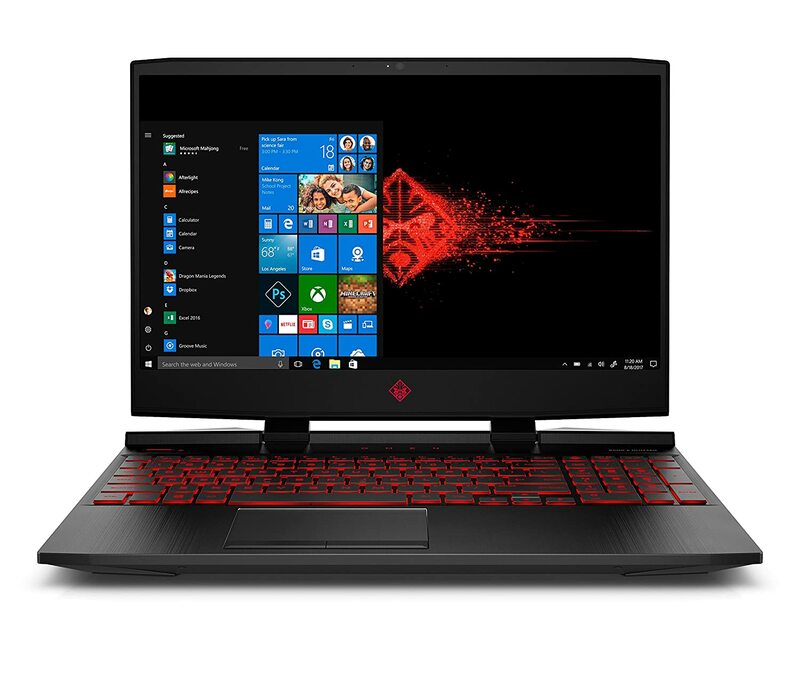 The HP Omen 15-dc0010nr 15.6" is a good option if you have to use your laptop for both work and gaming. It has plenty of storage (1.12TB) and more than enough RAM (12GB) to multitask efficiently. Combine that with the good i5 8300H CPU and a GTX 1050 Ti, you get a fairly solid 1080p gaming laptop. That said, minus 4GB of RAM and the 128GB SSD, it's running basically the exact same specs as the cheaper MSI GV62 8RD-200 - the previous option on this list. They also look really similar, minus a couple of smaller design choices. Otherwise, the HP Omen 15-dc0010nr is a solid option for under $1k. 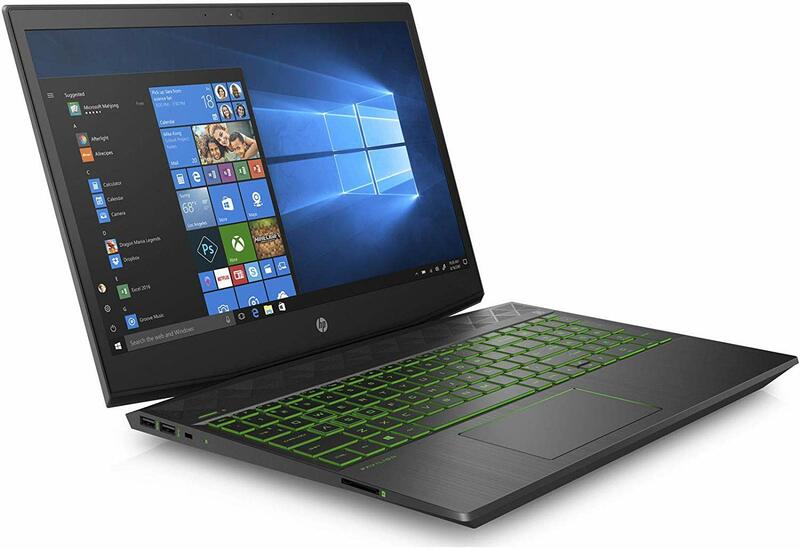 It's equipped with more than enough power to tackle 1080p gaming as well as getting some work done on the side. Dell's 15.6" G5587-7866BLK-PUS, specifically the G5 15 5587, is a good option if you can get past its ridiculously long model number. It's packing an Intel i7 8750H, a 4GB GTX 1050 Ti, 16GB of DDR4 RAM, and a 1TB HDD + 128GB SSD. Meaning, it's coming with a lot of storage and enough power to run most games on mid-high settings at around 60fps. I would prefer to see an i5 used in a laptop at this level with a stronger GPU to make up the difference, but that would be too easy. At less than 1-inch thick, the G5587-786.... this laptop... is the thinnest option on the list. But, it's also one of the heaviest options with a weight of 6.28lbs. Overall, if you're looking to get a lot of storage and a full 16GB of RAM in your laptop, this is a great option to consider. However, the Predator Helios 300 (our #1) might be better if you're less concerned about storage. The 15.6" Acer Predator Helios 300 (PH315-51-78NP) is undeniably the best laptop you can buy for just shy of $1000. It's the only laptop in this segment to feature a powerful discrete GPU like the 6GB GTX 1060 and the i7 8750 processor + the 16GB of DDR4 RAM are just the icing on the cake. The Predator Helios 300 will be capable of handling all but the most demanding games in 1080p at 60fps on no less than high settings. Competitive FPS gamers can take advantage of the 144Hz display by lowering some settings to achieve much more than 60fps in a lot of games. In terms of storage, it's a little lacking but what you do get is insanely fast. The Helios 300 is loaded with a 256GB NVMe M.2 SSD - the fastest consumer storage we have right now. That said, if you find yourself playing more AAA games than anything, you will definitely want to consider adding more storage sooner than later. 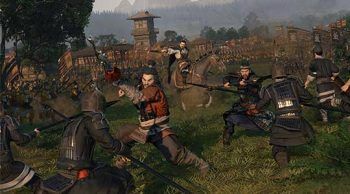 A typical AAA game can be anywhere from 20-100GB, sometimes even bigger. In short, you can't beat the Predator Helios 300 without going to a desktop, it's just not possible right now. That's why its the best gaming laptop for (just) under $1000. If you’re a budget-minded gamer who needs a laptop capable of playing modern games with good graphics and performance, I hope you were able to find your laptop above. 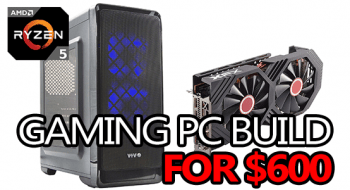 If the laptops above are still outside of your price range, why not take a look at my Best Laptops (for gaming) under $500 list? One thing you should always keep in mind while gaming on a laptop is: don’t restrict your airflow. It might be convenient to put your laptop on a pillow on your lap or something and game out, but trust me, that’s a bad idea, and you’re slowly smothering your laptop. You should almost always use a cooling pad when actively gaming on your laptop, if not just a hard surface. You might want to consider getting yourself a mouse also, gaming with a trackpad can be a nuisance at best. Since there are so many mice on the market, I’ve put together top 5 lists for both mice under $50 and mice under $100. You’re almost guaranteed to find the mouse you need within one of those lists. When it comes down to it, $1000 is going to get you a solid mid-range gaming laptop that should last you a long time. 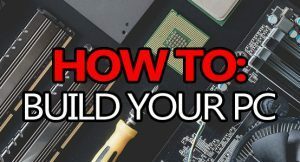 That being said, if you’re looking at a gaming laptop primarily for use at home, then you might be better off by building or buying your own gaming desktop instead. You’ll get a lot more power for the same price, at the expensive of mobility. 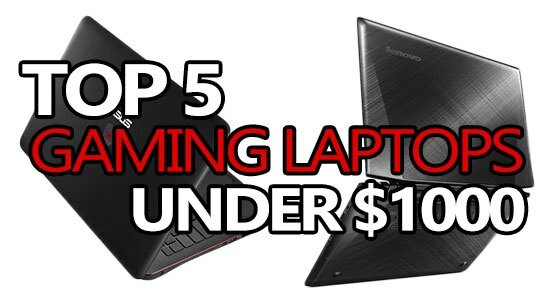 In any event, I hope my list of the top 5 gaming laptops under $1000 helped you find what you need! Have any questions? Comments? Leave them below! Hey Branton what do you think fo the Acer Nitro 5? It seems to be a good laptop for the price, but it is any other better at similar price? I found it on BestBuy at $800 the GTX 1050 ti version. Is there a better laptop on the same range of price or that one is perfect for the price? It’s about as good as you’re going to get in that price range! 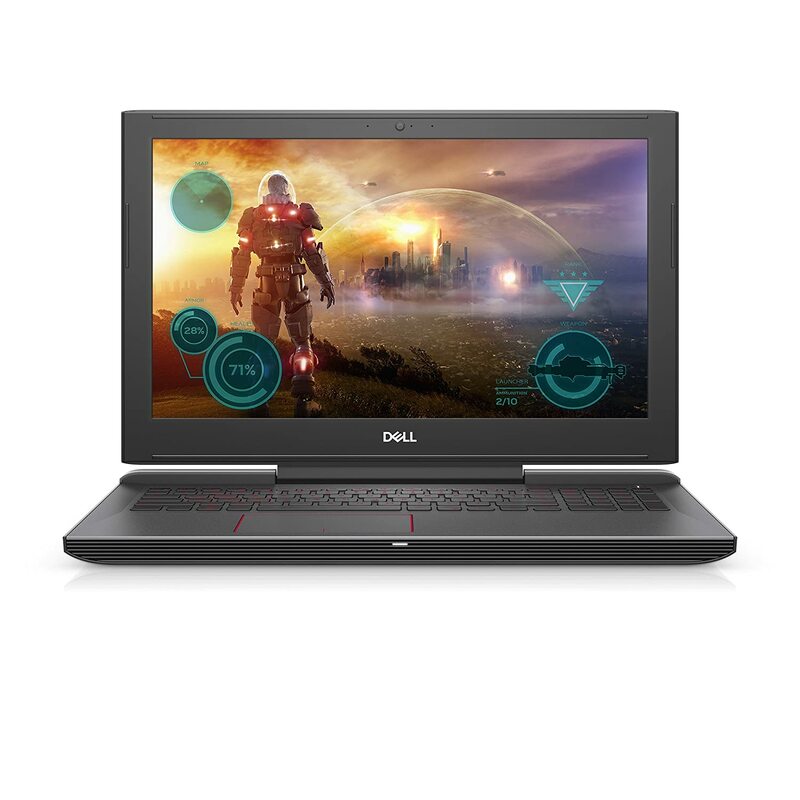 What is the best gaming laptop for 1200-1399$ I can get out there? If you don’t mind a 15.6″, the MSI GE62 6Qf is on sale right now for $1299 and it’s a pretty crazy laptop. i7 6700HQ, GTX 970m, 12GB of RAM and a 1080p IPS screen. why are these laptops so much more expensive in Canada then what you say they are? That’s because our prices are in USD (US $) due to the vast majority (80%+) of our readers being from the USA. Sorry about any confusion that may have caused. Awesome Mikel, good to hear. The Y50 has some pretty crazy speakers for a laptop, and quite a bit of power to boot. I think it’s also the best-looking laptop on the list, followed closely by MSI’s GP60.